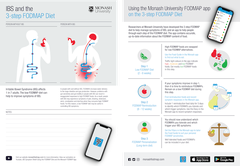 Dietitians, health professionals and the public, worldwide find our FODMAP booklet an extremely practical tool when navigating the FODMAP diet. Health professionals also find our Patient information sheets useful when speaking to patients with irritable bowel syndrome (IBS). *Please note: the cost of the resources will automatically be adjusted to the currency of the country you are in when payment is made. Please allow 2-3 weeks delivery. 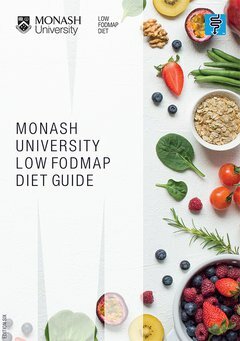 The Low FODMAP booklet (sixth edition), describes a diet to manage the gastrointestinal symptoms associated with irritable bowel syndrome. 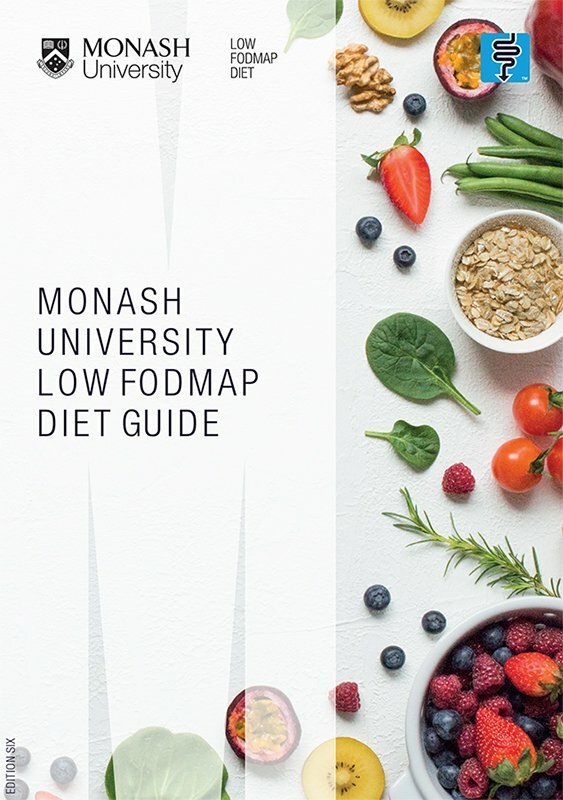 The booklet includes, a starter list of foods to include and foods to limit, recommended recipes, meal plans and more. Patient information sheets are available as a pad consisting of 30 A4 tearable sheets. They are suitable for health care practitioners (i.e., gastroenterologists, dietitians and GPs) to give to patients with IBS. 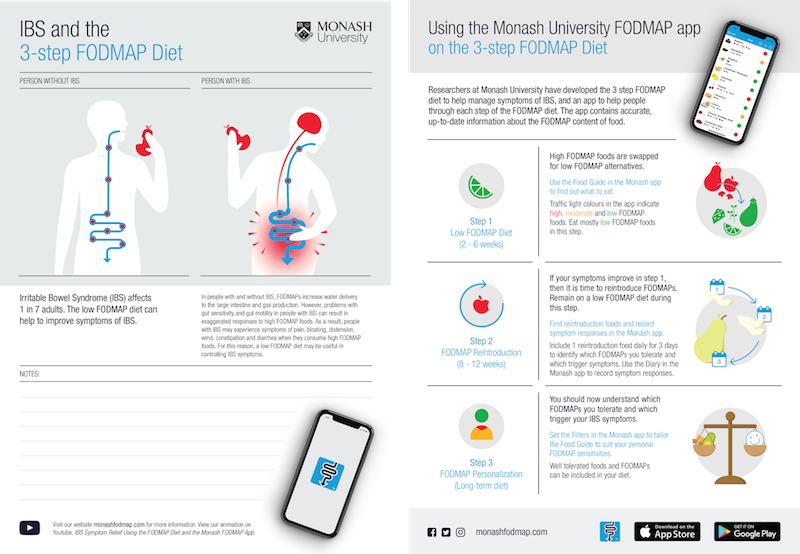 Each sheet provides illustrations to explain what IBS is, a section to write patient notes and information on how to use the Monash University Low FODMAP Diet™ app. To purchase products, please log in or create an account.